Last week - we showed you how Zurple's software works. Today, we want to show you exactly how Zurple is helping real estate pros like you transform their business. Anthony started selling homes in 2011 - with 12 years in the construction business under his belt. Today, he owns his own brokerage (WCI Properties), has built a quality real estate team and has integrated Zurple into his long-term success strategy. 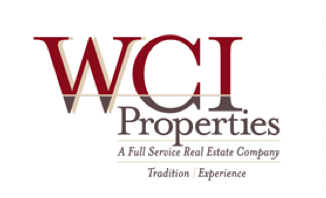 WCI properties, a premier brokerage in Rochester, NY, provides full service real estate solutions to buyers and sellers. The team at WCI properties is dedicated to consistently providing top-notch service. Every agent is armed with the real estate and community expertise that is essential for industry success. Buyers and sellers who work with WCI Properties can expect to be navigated through their real estate transaction with ease. Prior to beginning his career in real estate, Anthony spent 12 years in the construction industry. After working around the clock day after day, Anthony decided that if he was going to put such long hours, he may as well be working for himself. Anthony started his real estate career in 2011 and quickly realized that buyers were the key to faster turn around business. With that in mind, Anthony began to focus his time and budget on generating buyer leads from Trulia and Zillow and on building an impressive listing inventory. A couple years later, Anthony decided to supplement his lead investment by joining Zurple – a move that would help him consistently turn cold leads into hot leads without cannibalizing his time. Thanks to his time in the construction industry, Anthony came into real estate with a solid understanding of the industry. With historical knowledge of buyer’s specific needs, he chose to focus his business efforts there, but needed to find a way to efficiently and affordably nurture leads that weren’t quite transaction ready without sacrificing time out of his busy schedule. Zurple provided the perfect platform to help Anthony take his business to the next level. What started as a primarily referral-based lead database quickly grew to include dozens of viable buyer leads from Trulia and Zillow. These leads were automatically added to Zurple’s system and immediately started receiving intelligent, automated messages triggered by specific lead behaviors. Prior to selecting Zurple, Anthony did try other lead nurturing systems – but they fell short when it came to technology and efficiency. Other platforms required him to manually monitor lead activity, identify trends and categorize what stage of the buying process they were at – a time consuming task. With Zurple - all the busy work is automatically done on his behalf. Early on, Anthony spent time and money on building a great web presence consistently delivers a lot of traffic – which means he gets a lot of inquiries, a situation that presents a challenge with his extremely busy schedule. Other lead nurturing systems had limited or no automation options – whereas with Zurple – all ongoing lead nurturing is automatically triggered by specific lead activities. Automation and timeliness is especially critical when it comes to initial lead inquiries. Recent data from the California Association of Realtors shows that 78% of leads expect follow-up within 30 minutes or less. Anthony rarely if ever has the opportunity to connect that quickly. Having a system that can respond within five minutes on Anthony’s behalf has been invaluable. As Anthony brought on more team members, the timeliness and relevance of the Zurple’s messaging consistently created new opportunities for business – allowing everyone at WCI Properties to grow and thrive. Anthony’s drive and motivation helps him succeed in real estate – but it also makes him a great team leader. He takes pride in his brokerage and is passionate about coaching new team members on how to effectively build their business. Anthony is also very active in his community – a trait which contributes greatly to his real estate success. Three years ago, he co-founded a charity, IAC Kids, that provides assistance to middle-income families that are facing financial hardship due to a sick child. (Learn more about Anthony’s foundation at www.iackids.org). His strong connection to his team and to the community are key attributes in Anthony’s long-term success. Just over 12 months ago, Anthony made a move that was out of character for him – he scheduled a demo with a Zurple product specialist that changed his life. Today, Anthony receives 3-5 personal replies to emails sent from Zurple’s automated system every week. In most cases, the replies are from leads asking for a viewing. Thanks to Zurple, rather than identifying and tracking new leads, he invests time into a new lead when they are ready to seriously consider entering a transaction. As for leads that aren’t quite ready yet – Zurple’s system monitors lead behavior, and if a lead starts exhibiting hot behaviors, the system automatically notifies Anthony so he can prioritize his follow-up. Zurple’s automated reply-optimized system works. Anthony and his team are thrilled to save time on prospecting and to work with a proactive system that allows them the freedom of managing much of their business from a smartphone. Before joining Zurple, Anthony was leveraging his background in construction to create a database of buyer leads. 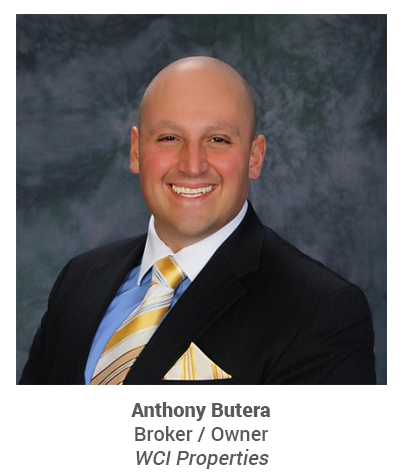 After he created a strong web presence and started using Trulia and Zillow to generate new buyer leads, Anthony was ready to start building a real estate team and to pursue his dreams of opening his own brokerage. Less than a year after joining with Zurple – Anthony has already had 13 personal closes from Zurple leads and his brokerage team is experiencing similarly exciting results. Effective, affordable, automated nurturing has proven to be the recipe for success for Anthony and WCI Properties. Click here to see more client success stories.